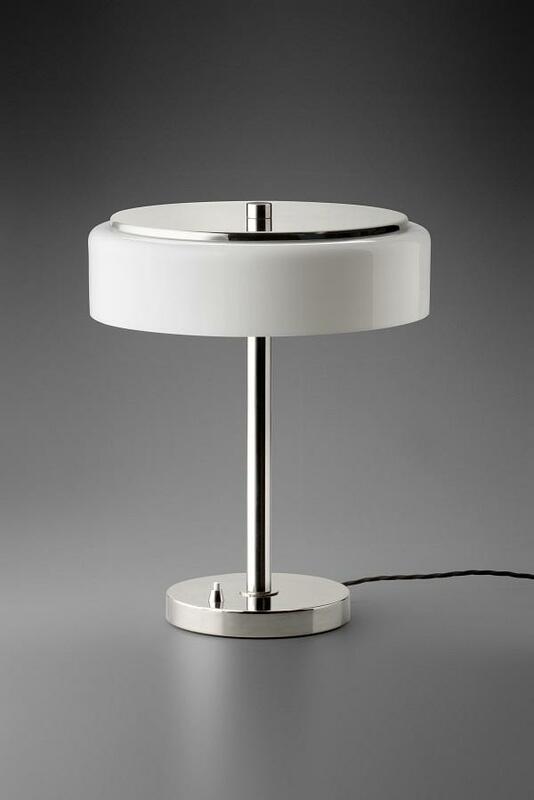 Replica of a table lamp, type 5839. 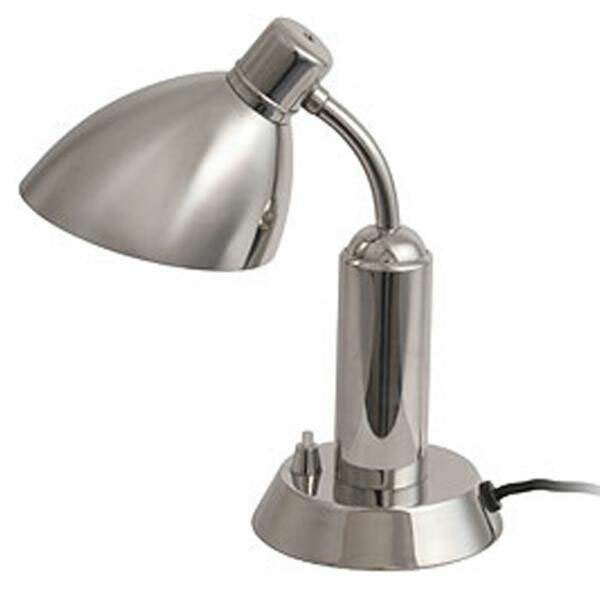 Original manufacturer Anýž, Bohemia, produced in the years 1929–1948. 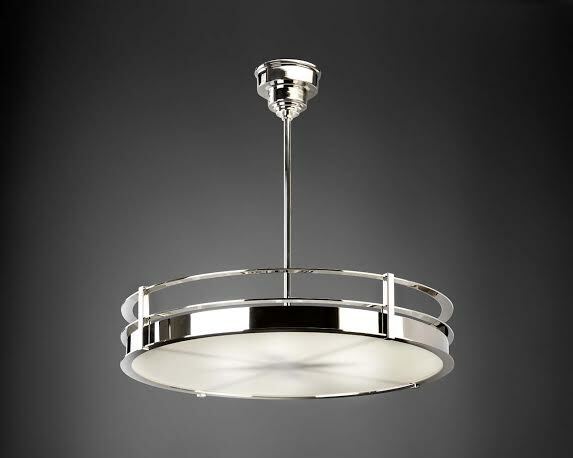 Polished metal, polished nickel finish, opal lampshade. 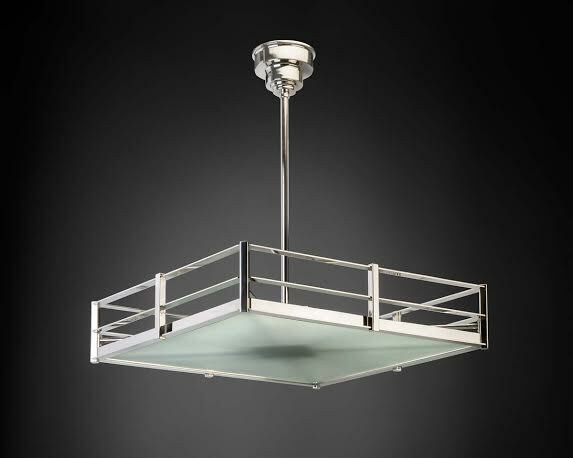 Austere style with simple glass shade. Bakelite switch. 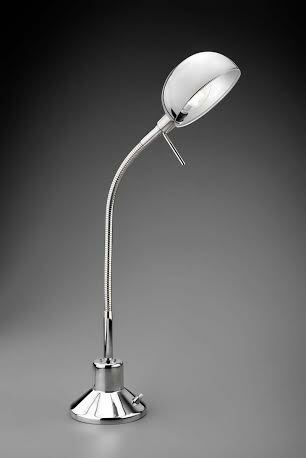 Adolf Loos used the type 5839 lamp in the interior of the Villa Müller in Prague 6.